Check out my review and author giveaway for Behind His Eyes (Consequences). While reading Consequences (Book #1)…did you ever wonder what Tony was thinking? How could you not! This companion series just released last week! BEHIND HIS EYES—CONSEQUENCES is a reading companion, by New York Times and USA Today bestselling author Aleatha Romig, recommended to be read after completing all three books of the CONSEQUENCES SERIES: Consequences, Truth, and Convicted. It is not a standalone book and should not be read as such.This companion was written to explore the thoughts and motivations of Anthony Rawlings, the man behind the consequences. It was not intended as a total rewrite of Consequences, but meant to enhance the reader’s understanding. 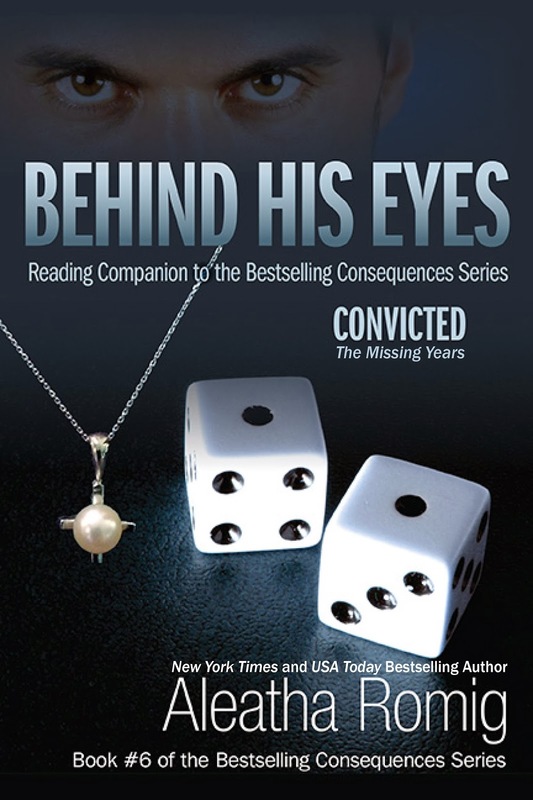 BEHIND HIS EYES—CONSEQUENCES contains significant scenes from the novel Consequences, as experienced from Anthony’s point of view. It also contains never before published, behind the scenes information, as well as, a glossary of the characters, and a timeline devoted to the events within Consequences. Once upon a time, signed a napkin that he knew was a contract. As an esteemed businessman, he forgot one very important rule—he forgot to read the fine print. It wasn’t an acquisition to own another person as he’d previously assumed. especially from Behind His Eyes! ARC kindly provided in exchange for a fair and honest review. 5 stars! This book is meant to be a companion book to the series. I suggested reading the series in its entirety prior to reading this book. While reading Consequences (Book #1)…did you ever wonder what Tony was thinking? How could you not?! Aleatha Romig hand picked critical scenes and chapters from Consequences (book #1) and retells them from Tony’s POV. Romig dissects his thoughts with surgical precision. I felt like I was reading a “diary” of a madman as Tony’s POV unravels in the same smooth manner as all of Romig's books. Despite knowing what was going to happen from reading this series…his perspective added a new layer to this already chilling story. Q - Is this just a rewrite of Consequences from Tony’s POV? readers. CONSEQUENCES was told mostly from Claire’s POV. Therefore, conversations and things happened outside of her observation. This companion allows readers to witness some of these scenes. Q - What are your plans after you release all of the BEHIND HIS EYES reading companions? but I’ll be honest, Anthony Rawlings is not an easy character to let go. However, I believe it is time. believe it is time to move on.